Since childhood, our parents told us to offer prayers to our deities in different forms. Today, the ultimate form of worshiping is in the form of idols or statues. We receive warmth and overall wellness with the prayers - this is what we believe in the most simplest way. 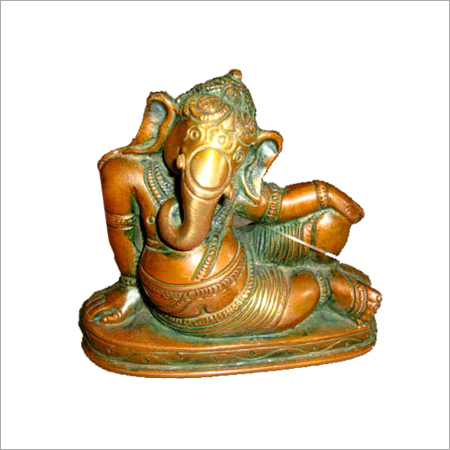 Some well known deities in Hindu mythology are Lord Ganesha, Goddess Lakshmi, Goddess Durga, and Lord Krishna. One of the best examples of Goddess Statue worshiping on eve of a festival, is Kolkata. A trip to India's city of joy, Kolkata will let you immerse in the best mood of festivity close to the end of a year. The famous Durga Puja is performed to celebrate goddess Durga and it leaves your inner conscious infused with the blissful feeling. What goes behind the scenes? Have you ever wondered about the backstage work, that is done to give a perfect appearance to your favorite deity? I guess, no! Well, here I'm about to offer you a little idea about how these stunning idols, presented in the spacious pandals, undergo great deal of hardwork by the artists. The genuine material used in making these God and Goddess Statues is clay, however, some makers have now started shaping these idols with Plaster of Paris (POP) as well. The use of clay lets the statues stay an Eco-friendly creation, as these idols are later immersed in the holy water of rivers or the sea. The procedure to prepare the different idols is mostly the same, which includes first giving the clay shape of a body structure, and then letting it dry to get little harder. Further, the basic layer of paint is done in white, that is followed by other colors and final finishing at last. The highlighted area indeed remains the gorgeous eyes, that demand more attention than the other parts. Although, every body part like fingers, face, etc., has its importance, but the eyes in the statue are the part, which truly makes it alive. How The Statues Look More Alive Than Other Forms Of Art? 'Expressions speak louder than action', should become the new phrase for this kind of art form, as it indeed suits this work. The fierceness in the eyes of the deity is something which you possibly will never be able to find in any other form. Religiously, Durga's eyes stay outwardly straight with the intensity to slay the demon, called Mahishasura. Entire look of the large sized statues makes you feel the wholeness you crave for. Overall structure of these idols present a real-like persona, which makes it look more believable. The artists who are behind creating these aesthetic pieces are experts in giving life to their works, which is also apparent in their work.